Did you know that smokers are twice more likely to suffer from a reduced sense of smell than non-smokers? Because aroma accounts for around 80% of how we experience flavour, many smokers experience a dulled sense of taste, which can cause even the most delicious foods to become less appealing over time. The good news, however, is that many smokers who have made the switch to electronic cigarettes immediately notice a reinvigorated sense of smell and taste. For this reason, if you’re a smoker, swapping tobacco for vapour can help you to fully appreciate both the smell of freshly cut grass and the taste of food for the first time in years. So if you have – or are thinking about – stubbing out cigarettes in favour of e-cigs, here are seven amazing foods you should consider treating your rejuvenated taste buds to straight away. What do both McDonalds and Burger King have in common? That’s right, they both make billions of dollars of profit each year for selling what are essentially incredibly average burgers. The thing is the combination of bread, meat and salad is so damn tasty that neither restaurant juggernaut has to make the world’s best burger to keep people coming back for more. 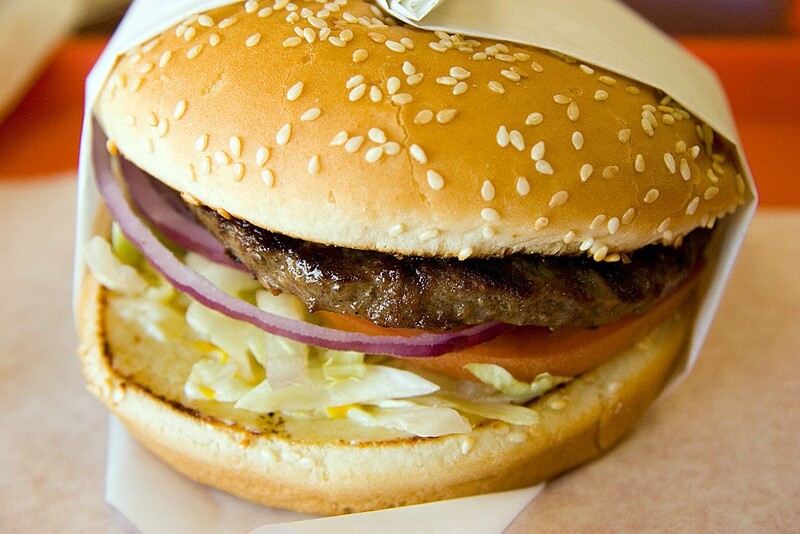 That said, if you are planning to celebrate the return of your all singing, all dancing taste buds, you should definitely treat yourself to a hamburger that’s just a little bit more special. So if you’re looking for a little bit of inspiration before coming over all ‘Vincent van Scoff’ or ‘Gannet Jackson’, check out this five-star hamburger recipe from Food.com. 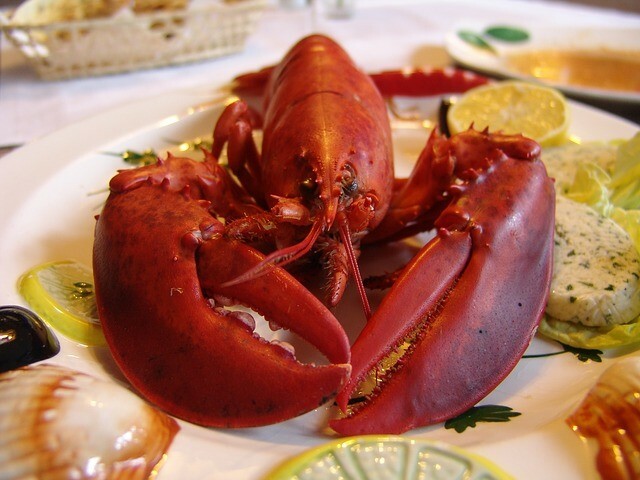 A century ago, lobster was a food for the poor, charmingly nicknamed ‘the cockroach of the sea’. In recent years though, thanks to an army of Michelin star-standard chefs and highbrow eateries, lobster has been placed on the cultural pedestal marked ‘expensive’. Although things haven’t quite gone full-circle, lobsters are now available for a tenner or less in supermarkets such as Waitrose, Sainsbury’s and Asda. Consequently, no matter what your budget is, lobster is once again a viable dinner option for everyone. If you don’t know your pincher claw from your tail fin, here’s a list of 16 fantastic recipes using lobster that anyone can make. Pizza has lost its identity. By introducing hot dog stuffed crusts, cheese rolls and a ton of other bizarre combinations, chains such as Pizza Hut and Dominoes have re-defined what pizza is for millions of people. However, turning pizza into the food world’s version of a strutting peacock isn’t necessarily a good thing. Modern pizza was invented in Naples in 1889, and although it’s relatively simple in construction, for many, it remains the world’s tastiest food. 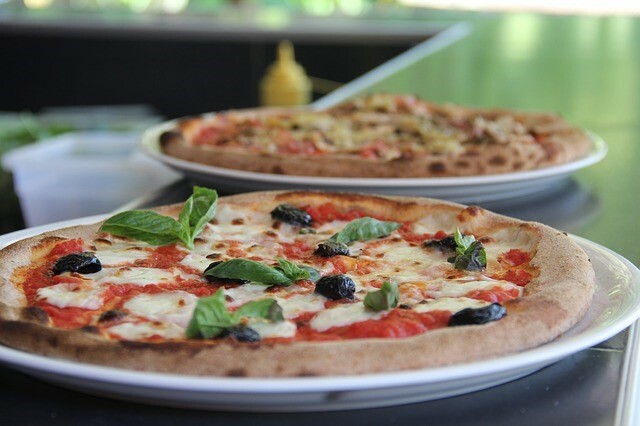 The exact ingredients of what constitutes as Neapolitan pizza is protected under EU law – and for this reason, the finest example of this food is still found in Italy. However, if you fancy having a stab at baking one yourself, here’s a fantastic recipe to get you started. 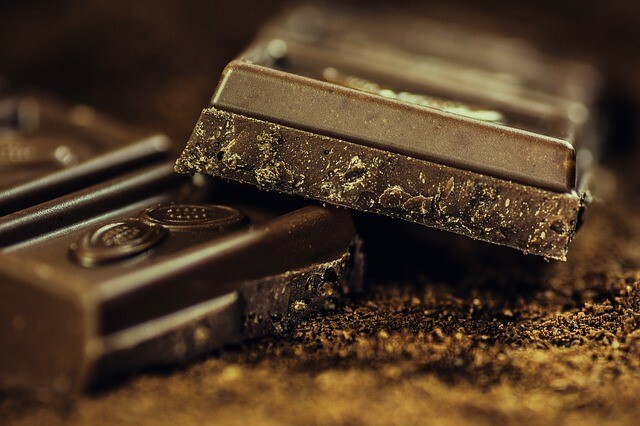 Before Christopher Columbus loaded the Cacao bean onto his ship after his fourth mission to the Americas in the 16th century, chocolate was unknown to Europeans. Since then, the coca bean’s history charts the rise of a lip-licking global phenomenon. But did you know that if you side-step surgery milk chocolate and anything produced by super-brands, chocolate is also surprisingly good for you? This is because dark chocolate – i.e. chocolate that has a cocoa content of above 70% – possesses excellent anti-oxidant qualities, which is good for heart health and staving off certain cancers. If you’re wondering what dark chocolate to try, here’s a list of five tasty bars that will have you slobbering like Pavlov’s dog. Everyone loves cheese. Most people enjoy a chip or two. And anyone that doesn’t love to smother their roast dinner with a liberal helping of gravy doesn’t deserve to dine on fine food anyway. But chips, cheese and gravy cast together in a triumvirate of culinary amazingness? Yeah, you’re right, it sounds disgusting – in reality, though, it’s anything but. 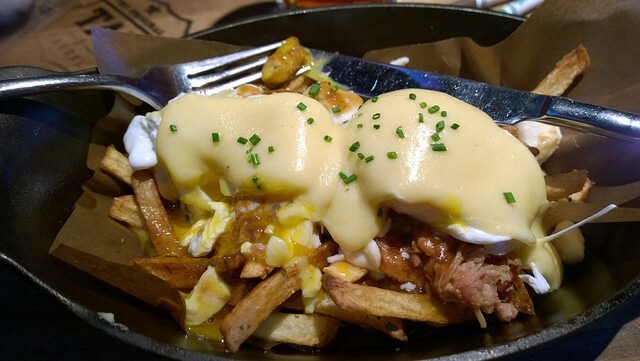 Our Canadian cousins tells us poutine is best served at 3am, after several pints, which kind of makes it a lot like a North American version of a doner kebab. If you fancy having a stab at cooking real Canadian poutine yourself, here’s a five-star recipe put together by Food.com. 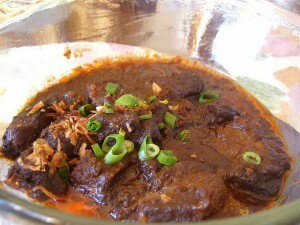 It’s quite possible that Rendang is a food that has yet to become acquainted with your taste buds. If this is the case, you will have to remedy this fact very quickly. When the American news network CNN conducted a global survey to find the world’s 50 best foods, Rendang was an overwhelming winner. For the uninitiated, Rendang is beef stew that is left to simmer with coconut milk and a mixture of lemongrass, galangal, garlic, turmeric, ginger and chilies. The recipe is cooked to perfection in many Indonesian restaurants throughout the country. However, as well as being undeniably delicious, Rendang is incredibly easy to rustle up, and here’s a recipe that will help make the task even simpler. Many hams selected from farms and sold at British supermarkets cut off a large proportion of the fat before packaging it. This is done in the misguided belief that they are selling you a healthier, tastier product. 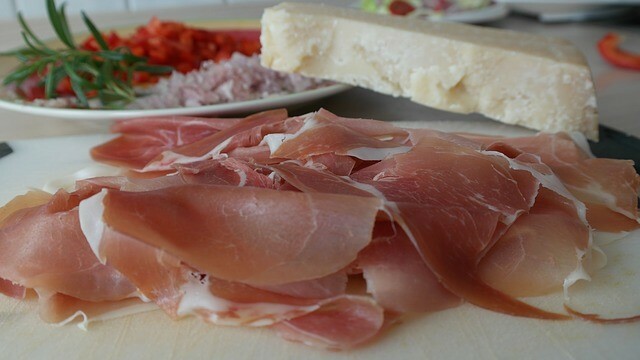 However authentic Parma ham wears its trimmings of fat as a badge of honour, and is all the more delicious for it. Although Parma ham doesn’t need an accompaniment to be enjoyed, it is perhaps one of the most versatile foods in the world. For this reason, you will often see it folded around chunks of perfectly ripe melon, sitting on top of pizzas and complementing a wide selection of salads. In fact, paper-thin slices of Parma ham improve the taste of almost any food, and the real thing can now be bought direct from Italy online. Have you recently switched to electronic cigarettes and discovered/rediscovered the taste of a food you love? If you want to swap traditional cigarettes for a healthier hit of nicotine and kick-start your taste buds, take a look at our range of iCig Electronic Cigarette Starter Kits. These easy to use e-cigarette starter kits include everything you’ll need to start vaping today – including an e-cig, charger, case and refill cartridges. This entry was posted in Electronic Cigarette Kits, Electronic Cigarettes, Stopping Smoking. Bookmark the permalink.